When will be Frankenstein Jr. and the Impossibles next episode air date? Is Frankenstein Jr. and the Impossibles renewed or cancelled? 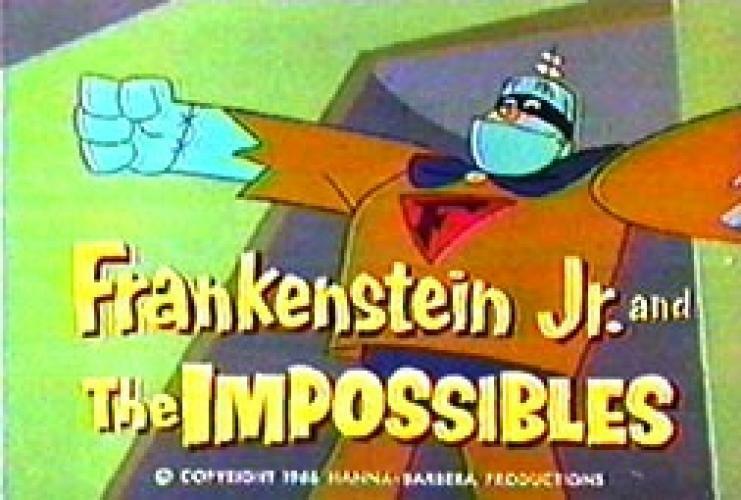 Where to countdown Frankenstein Jr. and the Impossibles air dates? Is Frankenstein Jr. and the Impossibles worth watching? Frankenstein Jr was built by Dr Conroy. Frankie is a 30 foot mechanic robot that defeats crime. His is summoned by Dr Conroys' son named Buzz, who has a ring that calls out to Frankenstein Jr whenever Buzz needs him. EpisoDate.com is your TV show guide to Countdown Frankenstein Jr. and the Impossibles Episode Air Dates and to stay in touch with Frankenstein Jr. and the Impossibles next episode Air Date and your others favorite TV Shows. Add the shows you like to a "Watchlist" and let the site take it from there.